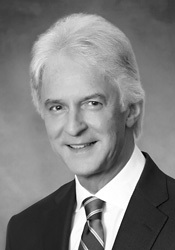 James C. Bly, Jr. has over 30 years of experience working with business owning family offices and families on direct investment matters related to growing larger, more valuable businesses; financing the growth of privately-owned companies while maintaining family capital; completing generational transitions of operating businesses; and designing and implementing shareholder liquidity plans. James C. Bly, Jr. is a Co-Founder, Principal and Chairman Emeritus of FODIS. He previously served as the Chairman and CEO of HWSC, a multi-disciplinary professional services firm that Mr. Bly co-founded in 1982. Mr. Bly had been responsible for the overall strategic direction and leadership of HWSC, and for managing its Family Office Direct Investment Services (FODIS) Division. HWSC specialized in serving Business Owning Families and Family Offices, which own upper middle market companies or complex portfolios of operating businesses or operating assets. Most of HWSC's clients were second through seventh generation family-controlled business enterprises. The FODIS division of HWSC was merged with the direct investment services division of de Visscher & Co to form FODIS. Mr. Bly also co-founded in 2003 with Francois de Visscher the Business Growth Alliance, LLC (BGA), a subsidiary of HWSC, that organized a carefully selected international group of professional services firms, which serve as subcontractors on matters relating to corporate development and performance improvement initiatives for private companies. Today, Mr. Bly is the Chairman Emeritus of BGA. Mr. Bly is an Executive Director of EY's Family Enterprise Business Services (FEBS) national practice, which EY acquired from HWSC in 2017. Mr. Bly was a founder of HWSC in 1982 and served as its CEO for over 20 years.